Art Gallery Cards: More Beautiful Hand Designed Cards! More Beautiful Hand Designed Cards! I love receiving hand made cards too! I love to enjoy everyone's creativity and special touches! These 3 cards are no different! Thank you so much, gals! These are all very special to me! 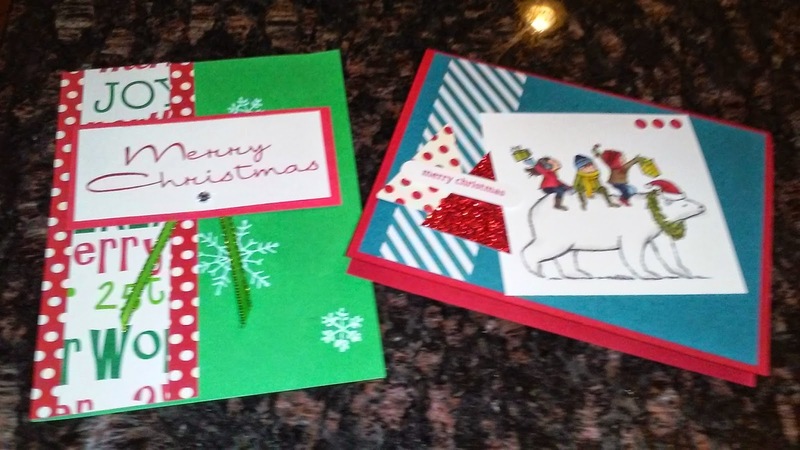 Another clean and simple pretty card from Colette Forsyth is on the right. I always love her neatness and use of designer papers. Thank you, Colette! 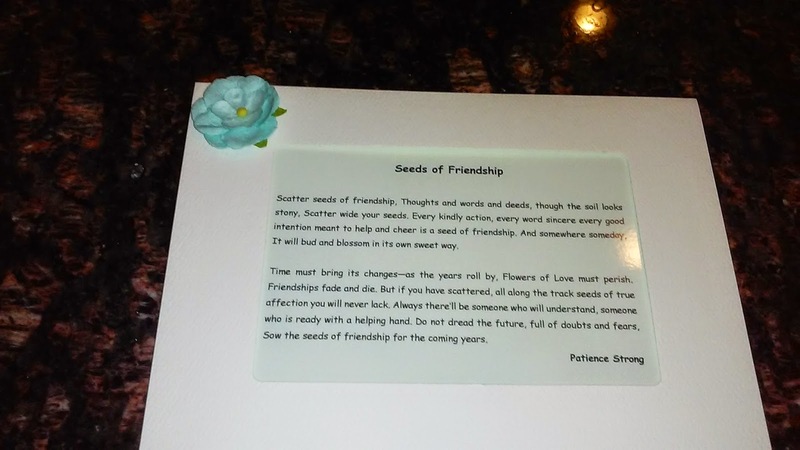 On the right is downline, Linda Williamson's, "Bearing Gifts" card. I love her vibrant colors. Where I chose subtles with my coloring, I definitely prefer the look of Linda's. You'll notice her good use of shading on Mr. Polar Bear too! Downline and TAL stamper, Andrea Larson, made these beautifully thoughtful cards. Our TAL group has indeed developed into a circle of friends that are cherished. Thank byou for a frame-worthy card that I'll enjoy having in my stamp room. I hope you're as inspired by these wonderful ladies as I am! Sisters????!!!! Playing With New Toys! Art Gallery Cards Monday, December 22, 2014! Beautiful Handmade and Original Cards! A Sneak Peak and Weekly Deals! The Sneak Peek is On!! Welcome to my new Downline Demos!